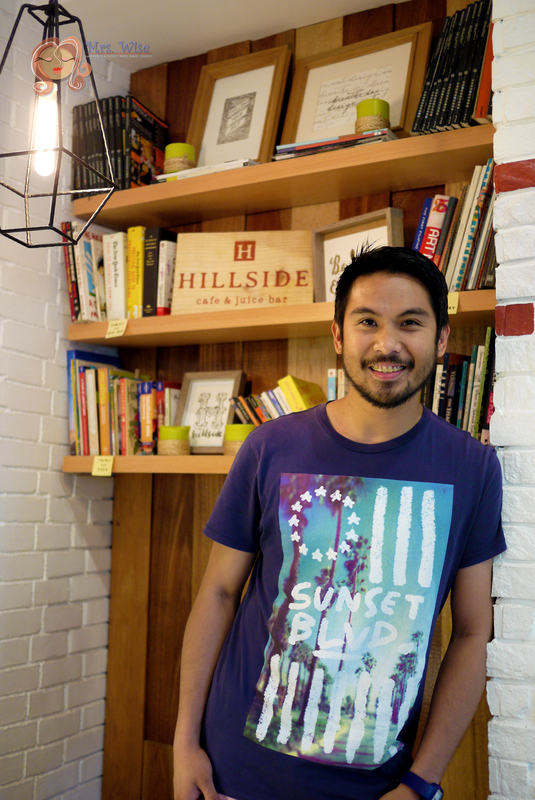 So what’s the next best thing? 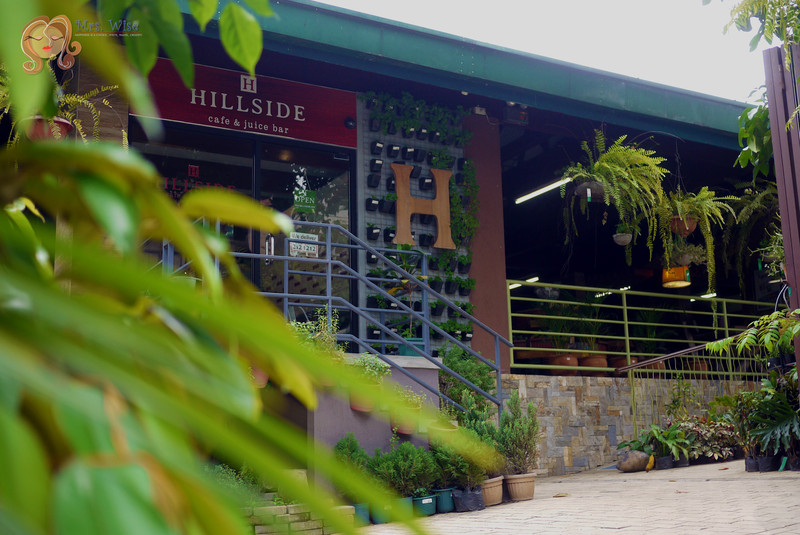 To discover and explore the neighborhood for alternative places where the family can get our healthy dose of organic food. And guess what... 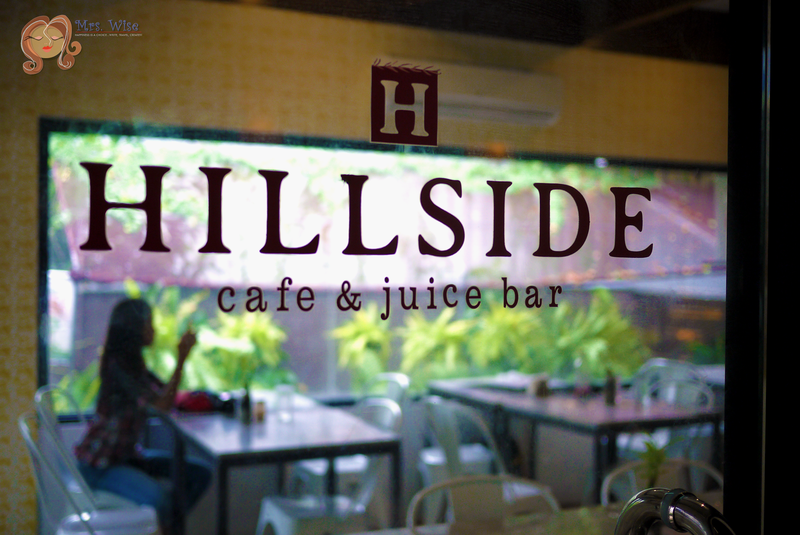 I recently discovered Hillside Cafe and Juice Bar – a healthy haven in the heart of QC. 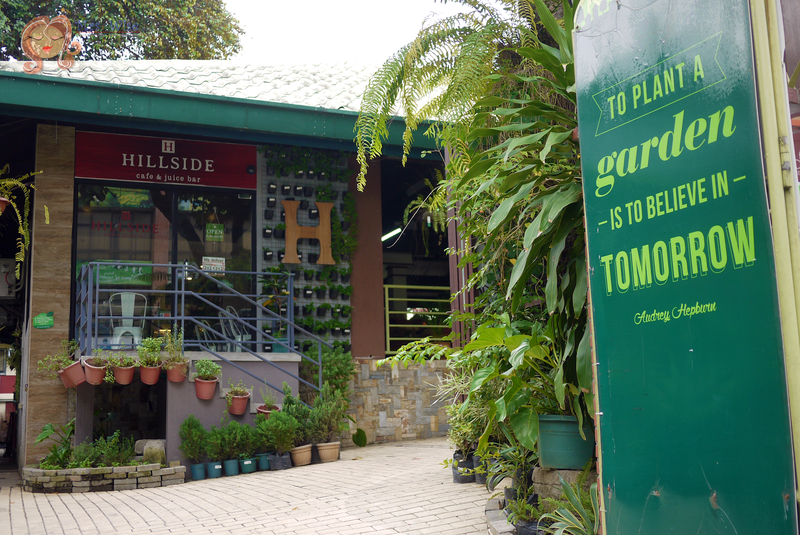 It is actually just a short walk from where I used to work (abs-cbn) and just beside my one of my favorite hang out places – Cedarhills garden center, where I buy most of my gardening tools and plants. The place was very cozy. Aside from the lush greenery that surrounds the place, what makes Hillside Cafe and Juice Bar a place to go to when you want to de-stress, is its relaxing interior design. 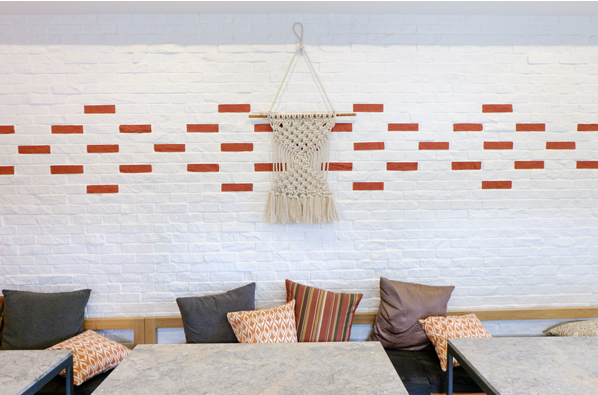 Marble table tops, white brick wall, stamped wall pattern by artist Alessandra Lanot, including works from renowned potters Lanelle Abueva and Ugu Bigyan. It is not only for the health enthusiasts, but also for the art lovers as well. And did I say that my teens were super happy because of the wifi? 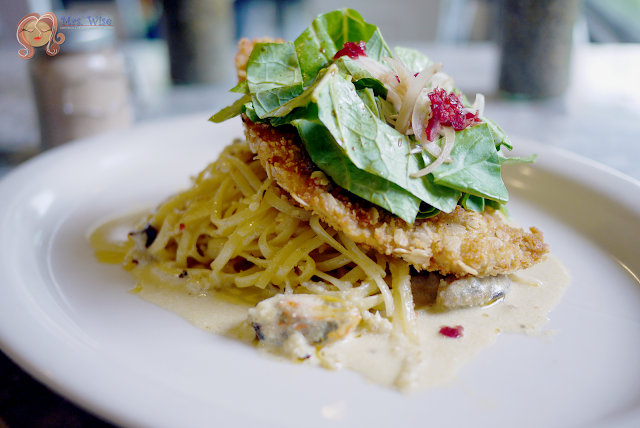 This is pesto crusted chicken parmigiana that is crispy and crunchy to the bite. The cassoulet of chickpeas, edamame and sweet corn gives it a rich, flavorful taste. And since the chicken is set on zucchini spaghetti aglio olio, it is packed with nutrients but low on calorie. 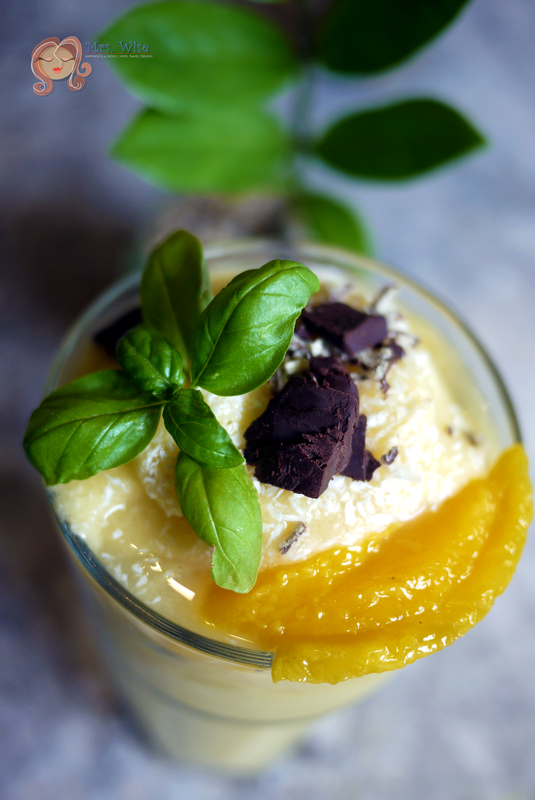 Oat and rye are known as excellent sources of fiber, vitamins and minerals. 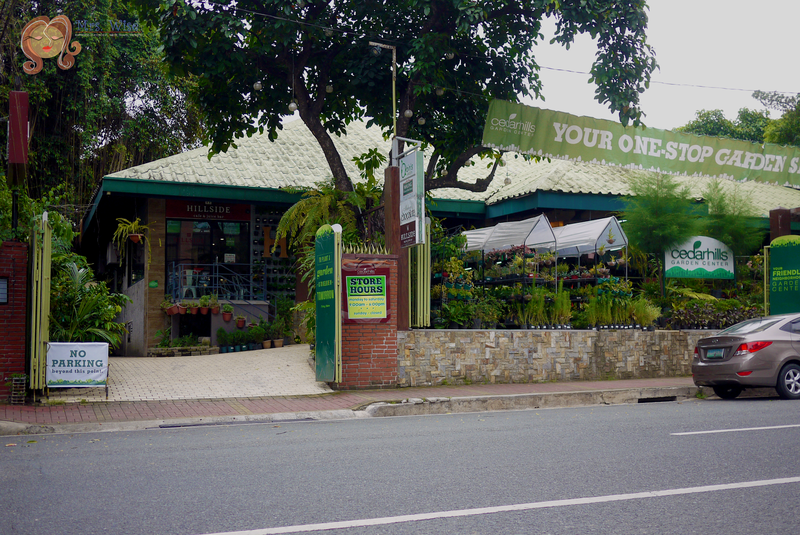 They also give the protein rich “labahita” a crunchy, healthy bite. When prepared with mussel emulsion, organic lettuce and aglio olio pasta with a hint of spiciness in it – the dish ends up to a totally satisfying, balanced meal. 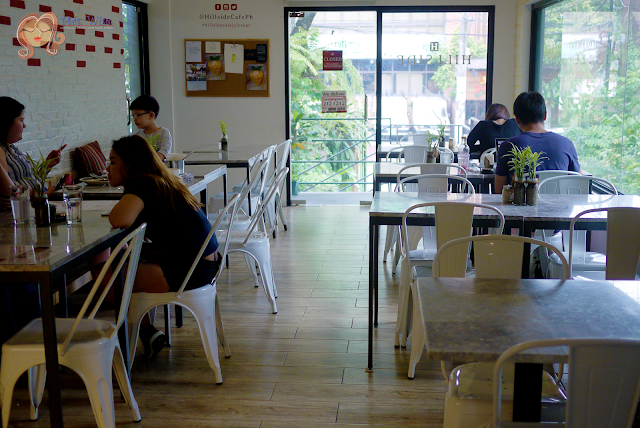 Lightly fried and stewed to perfection, just the right balance of sweet and saltiness to the pork. Served with bokchoy, leeks and shitake mushroom, with brown rice risotto and soft boiled organic egg. The creamy texture of the risotto blends well with the taste of the pork belly. This is the perfect dish for the seafood lovers. 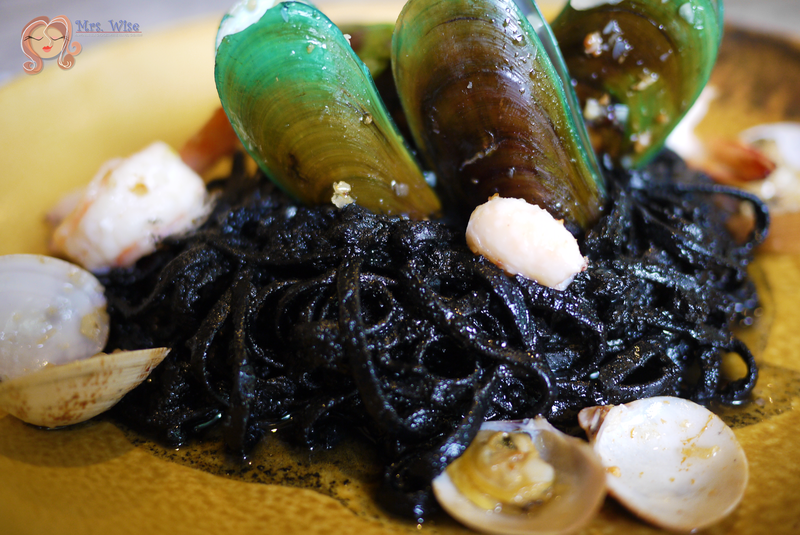 The rich, flavorful taste of linguine in natural squid ink is truly pleasing to the palate. Embellished with a mix of shrimps, clams, mussels and squid, all very fresh ingredients – makes you clamor for more. 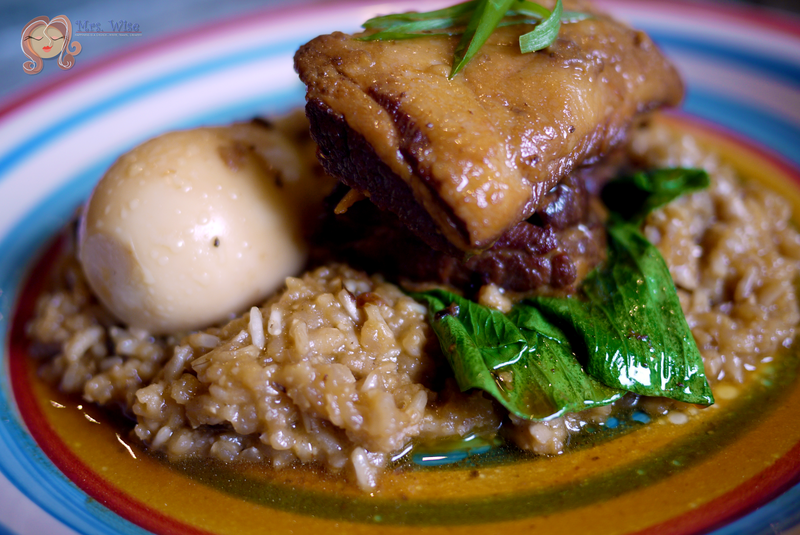 The surprise of this dish is in the tender, easy-to-slice, melt in your mouth meat of the short ribs. 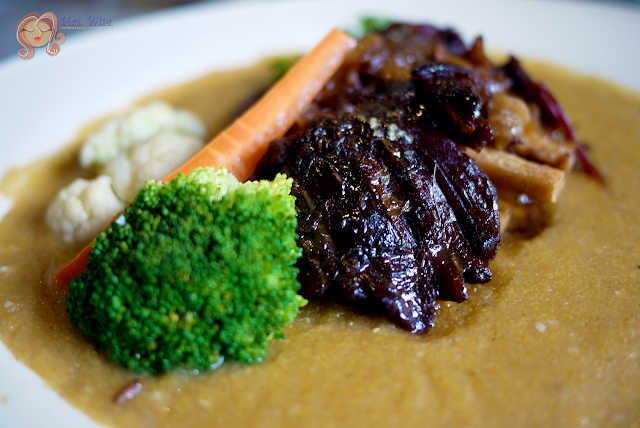 The thick consistency of the polenta or corn meal porridge popular in Italian cooking, and the buttered vegetables enhances to perfection the rich flavor of the short ribs. Thumbs up for the BIG serving of each dish. I actually think, each serving is good for sharing. 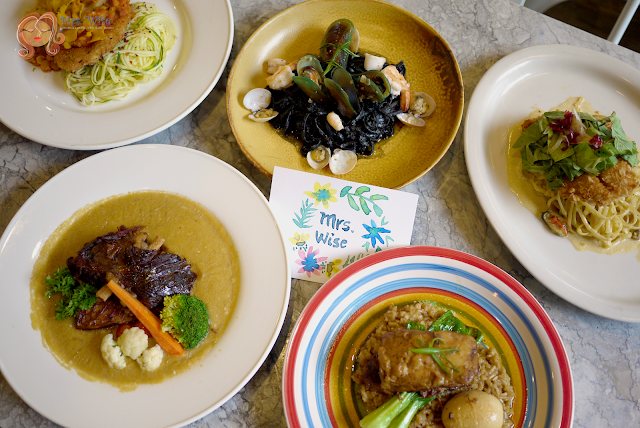 The dishes are carefully thought of, with focus on creating a balanced meal with meat/seafood/chicken + fresh healthy vegetables + pasta or rice. 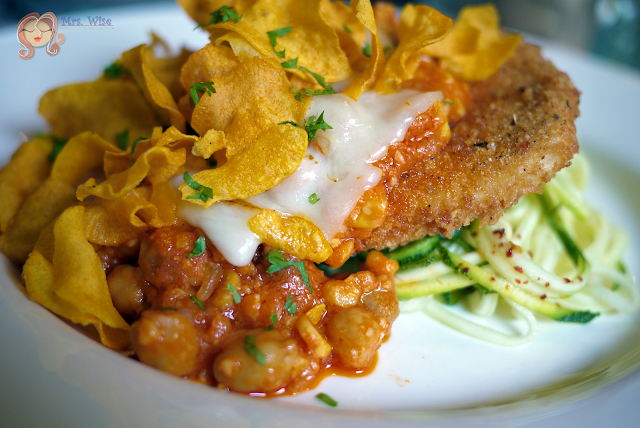 My son’s favorite was the chicken parmigiana, especially the camote chips on top. My daughter liked the braised pork belly to the max. She liked the variety of textures of the shitake mushroom, the risotto and the soft boiled egg. Me and my hubby liked the beef short ribs. We were intrigued with the polenta that we didn’t stop eating it. LOL! I DID SOMETHING.... WEIRD, AND I LIKED IT! 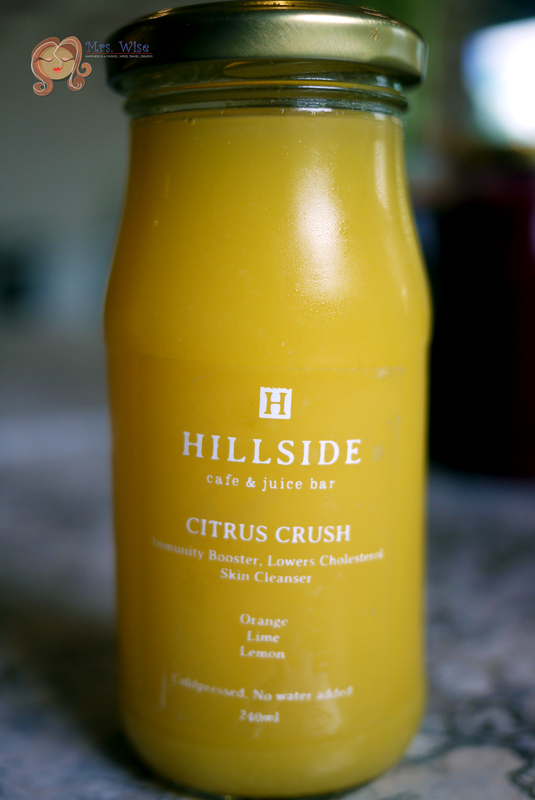 Before eating, PJ Lanot, one of the owners of Hillside Cafe asked me to try any one of their cold pressed juices. 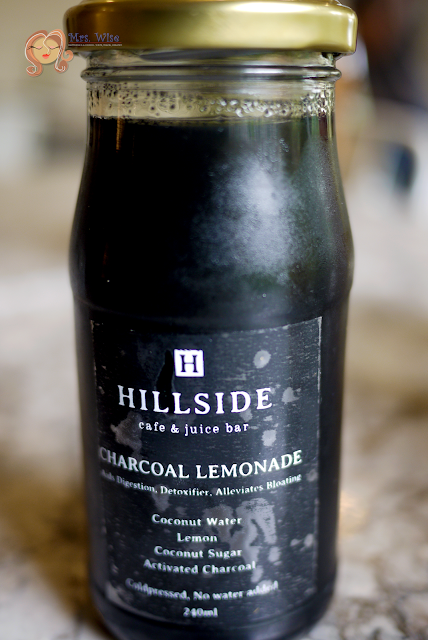 I felt adventurous that day that I chose the CHARCOAL LEMONADE. It is a detoxifying mixture of coconut juice, coconut sugar, lemon and activated charcoal. Yes, you read it right... CHARCOAL. PJ also reiterated the importance of a healthy and natural diet, “I would like to clarify that we do not promote crash diet. Our dishes are not for those who want to lose weight fast. 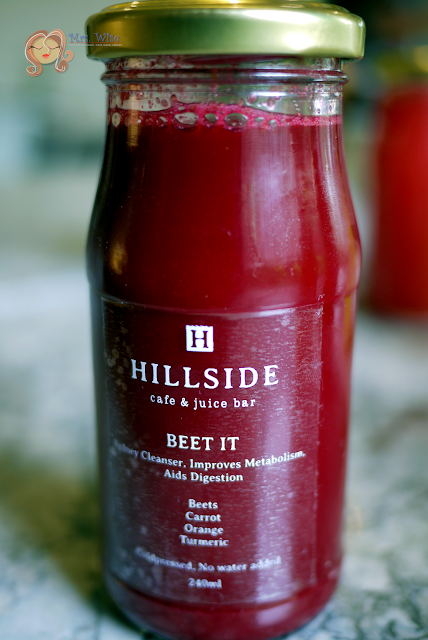 We promote healthy diet and lifestyle, by using fresh, organic and sustainable ingredients. 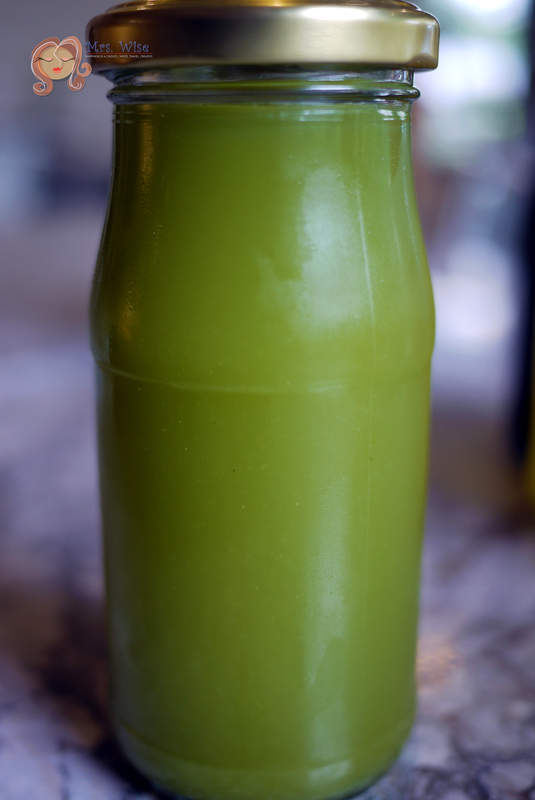 We also want to break the notion that healthy food is boring and bland. We put in a lot of effort to make our healthy food, delicious and flavorful. Hillside Cafe and Juice Bar also sells the Daily Detox Package at Php 2400 with six 500ml of cold pressed juices in a reusable thermo bag and ice pack. 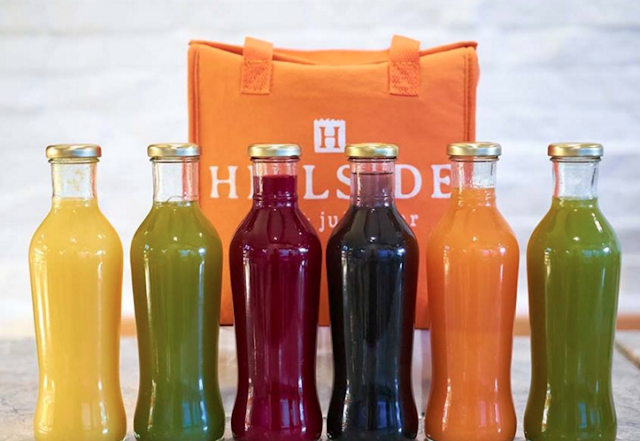 So you can bring home these energy drink and even share it with your family.